3) there is no fraud on the part of the vendor. Layman v. Binns (1988), 35 Ohio St.3d 176. Even more claims are precluded if the real estate is sold "as is. "When a buyer contractually agrees to accept property "as is," the seller is relieved of any duty to disclose the property's latent conditions and only has the duty not to commit an affirmative fraud. Kaye v. Buehrle (1983), 8 Ohio App.3d 381, 383. 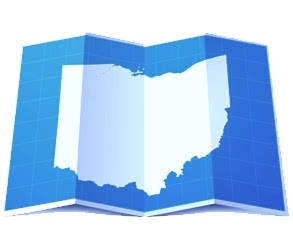 While Ohio’s Seller Disclosure Act (R.C. 5302.30; the “Disclosure Act”) still requires sellers of most types of residential property to disclose known defects, the Disclosure Act does not directly modify the doctrine of caveat emptor by creating a new statutory fraud claim or by eliminating existing common law claims. In fact, Section 5302.30 (l) of the Disclosure Act makes it clear that R.C. 5302.30 is not intended to affect any (common law) remedies available prior to its enactment. The Supreme Court of Ohio, however, in Jones v. Centex Homes, Slip Opinion No. 2012-Ohio-1001 has recently reminded us that a buyer of a “defective home” may have one other possible cause of action in its arsenal (against the home builder vs. the seller) -breach of the duty to construct a house in a workmanlike manner using ordinary care. The facts of the case are quite simple. Paul Jones and Latosha Sanders purchased a new home from the builders, Centex Homes in 2004. After moving into their new home, they discovered that none of their electronic devices (computers, televisions, cordless phones) were working properly. For example, their hard drives were erasing, and television reception was practically non-existant. The buyers’ consultant alleged that the metal joists (structural members) of the home were magnetized, causing the problems. The buyers sued Centex after an amicable resolution could not be reached. Centex’s basic argument was that the sales agreement was an “as is” contract that disclaimed all express and implied warranties, except a limited warranty that did not cover the problems expressed by the buyers. Both the trial court and the court of appeals agreed with Centex. The Supreme Court of Ohio did in fact agree that there was a disclaimer of warranties in the contract, and that the limited warranty did not cover the defective condition. The Court even acknowledged that the obligation to construct in a workmanlike manner may arise from a contract. However, the Court concluded that the cause of action for failing to construct in a workmanlike manner is not based on contract, but on a duty imposed by law (“We conclude that in Ohio, a duty to construct houses in a workmanlike manner using ordinary care is imposed by law on all home builders”). While the Court did not provide a definition of “workmanlike manner”, the Court cited past court cases dating back to 1966 which included builders constructing homes in the low portions of their lots and failing to install foundation drainage systems. The Court also clarified that these decisions are not dealing with builders being held strictly liable for structural defects, on an implied warranty basis, but with home builders violating the duty to construct in a workmanlike manner, which essentially holds a builder liable only for negligence. The only other “guidance” provided by the Court was that “the duty does not require builders to be perfect”. The “Jones Court” also reviewed the issue as to whether or not the duty to construct in a workmanlike manner could be waived. Without citing direct authority from prior cases, the Court firmly held that such a duty is “the baseline standard that Ohio home builders can expect builders to meet” and that accordingly, “a home buyer’s right to enforce that duty cannot be waived". The bad news for home builders is that there is no “quick fix” to their form contracts as a result of this decision. The Court was quite clear that the buyer’s cause of action arises from a duty imposed law, not by contract and that while warranties (express and implied) can be waived by contract language, the duty to construct houses in a workmanlike manner cannot. Further bad news for home builders is that the Court reaffirmed its decision in McMillan v. Harpenau-Torbeck Builders, 8 Ohio St. 3d, 3 (1983) that established that the cause of action based on the duty to construct houses in a workmanlike manner extends to subsequent buyers. On the other hand, commercial builders can rest easy: the Jones decision does not apply to them…yet. The good news for home buyers is that “caveat emptor” is no longer the only “game in town”. “Caveat home build-or” just moved in.